Great painting Jodi! Adorable poem too! Thanks Kerfe! 🙂 Happy Independence to you too! Benjamin is in love with Hal the colorful cow and thinks he is silly! He is also quite smitten with Mig the pink pig. Orange is his most favorite color, but he is very fond of purple too. We are enjoying all of the animals and poems immensely. They “will” make a spectacular book! Thank-you for adding so much fun to our morning. P.S. Benjamin wants to visit the other animals now. 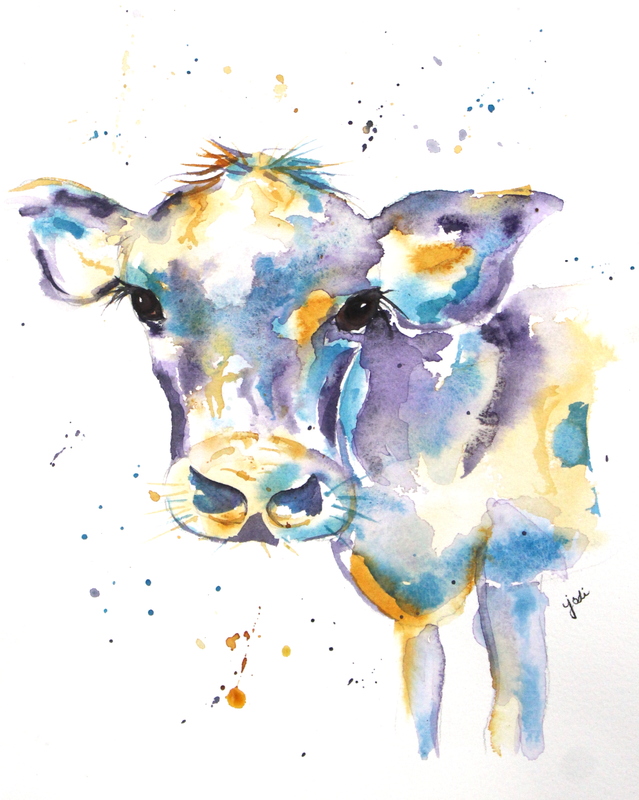 Beautifully captured in watercolour Jodi! My favourite part is that lovely patch of tufty hair on his head…. just lovely….. ! Another good one, Jodi! I love your colorful animals, but what I really like are the expressions they are wearing. I’m not sure how you pull that off, but it’s wonderful to see. Awh! Thanks so much Ann! A few more to be coming in the next couple of days! Good! I look forward to them! Enjoy your watercolor pieces so much! I just love your colorful rhyming characters Jodi! Jodi, you are such a coloufully happy soul with endless imagination! Sometimes it’s the tiniest of touches huh?